Thinking about buying a dash cam? If not, maybe you should be - a number of insurance providers will lower the cost of a premium if you have a dash cam in your car. 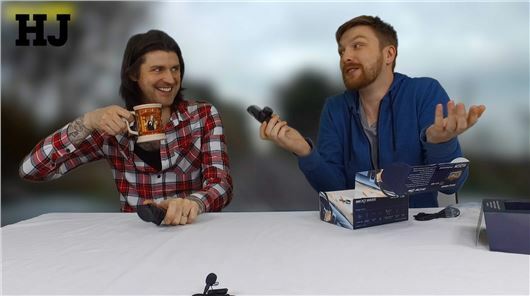 So, our very own Mark and John have made an unboxing video - yep, it's a thing - that not only shows you exactly what you get if you buy a Next Base dash cam, but how to use one, and the differences between the two. One costs £50, the other £130. Hit play below to enjoy a video that one person has already called "much better than I thought it was going to be." High praise. Oh dear, don't they know it is illegal to stick anything (eg dashcams, mobile phones, satnavs etc) to the area of the windscreen that is swept by the wipers?